If you are reading this … thank you for coming to my blog! A baseball fan lives here. Joe DiMaggio‘s consecutive hit streak of 56 games with a hit has stood since 1941. There are many that feel the record he set is unbeatable. The number #56 one of the most iconic numbers in baseball, along with 61, 73, and 755 it has been idolized and celebrated by baseball fans for decades. The record itself is as elusive as records come. To put it into perspective, when a player reaches a 30-game hit streak, widely considered a remarkable feat, he has to consider that he is barely more than half-way to DiMaggio. Most people would give DiMaggio all the credit for the number 56, but it was actually a little-known Cleveland third baseman that firmly solidified that number into baseball history. The day was July 17th, 1941 at Cleveland’s Municipal Stadium when DiMaggio’s streak would eventually come to an end. In the first inning DiMaggio hit a scorcher down the third base line only to be robbed by a man named Ken Keltner. Keltner had to backhand a ball down the line at third, one of the most difficult plays in the infield, then he make a strong, accurate throw get out the long, gazelle-like striding legs of DiMaggio. Keltner made the play that easily would have been scored a hit for DiMaggio. It can be argued that that number is just as much Keltner’s, as it is DiMaggio’s. The record is a different story, but the number ‘yes.’ ‘Joltin’ Joe would go even further, and hit for a 16-game streak after that July 17th date it ended. So? 56 + 16 + 1 …. that would make 73 both the consecutive hit record and Barry Bonds‘ single-season homerun record the same. I’m glad Keltner wouldn’t let fate make that happen. 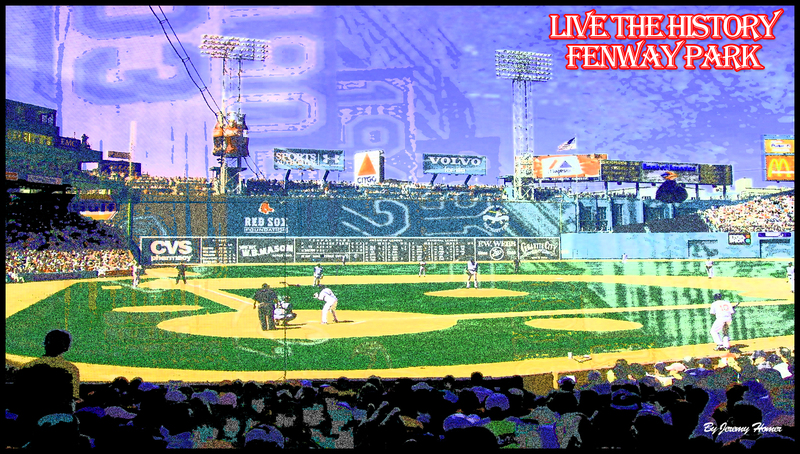 By popular demand, I worked on two of the league’s commonly filled ballparks last night, Fenway Park and the new Yankee Stadium. 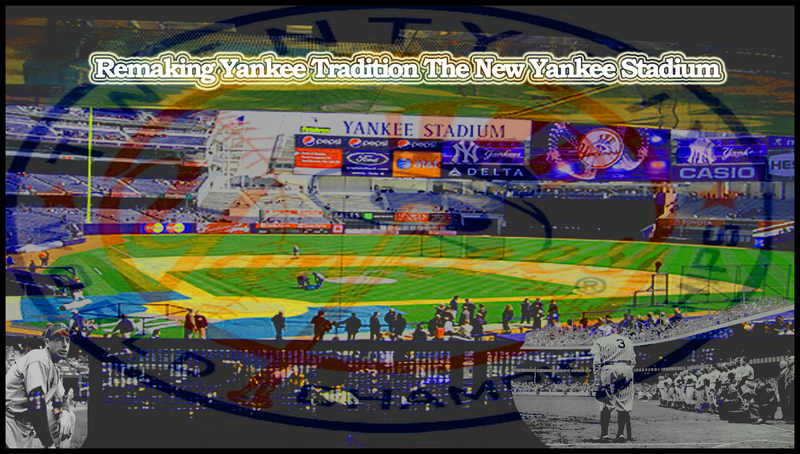 Unfortunately, I could not find any ideal – high resolution photos of the new Yankee stadium. I just tried to design it, so it would distract from that. It turned out okay. The Fenway faithful always make that park what it is. Going to one of the oldest parks in baseball, makes you feel like a part of history. I was fortunate enough to see a game there when I was a young boy. I was also fortunate enough to see a game in Yankee stadium before the it closed. These places both live up to all the hype!!! The new Yankee stadium is similar, but with a much ‘newer’ feel. I know that does sound very well thought through, but I don’t known another way to describe. The color’s of the stadium are more modern and intense, the architecture is flawless and there are a lot of ‘creature comforts,’ I’ll say. Chances are that history will be made there this year. The Yankees have certainly acquired the team for it. Let’s open these place for business! I love baseball stadiums! All of them! I hope you guys are enjoying this. Devon White was so graceful in the outfield, that he made this famous catch and throw to first base with ease. People say Joe Dimaggio was pretty good in the outfield, but whatever Dimaggio had, Devon White must have somewhere picked up on it, as well. The way people talk about Dimaggio in the outfield, is very similar to the way I saw Devon White play. Long graceful strides, with speed and the ability to read a ball off the bat. 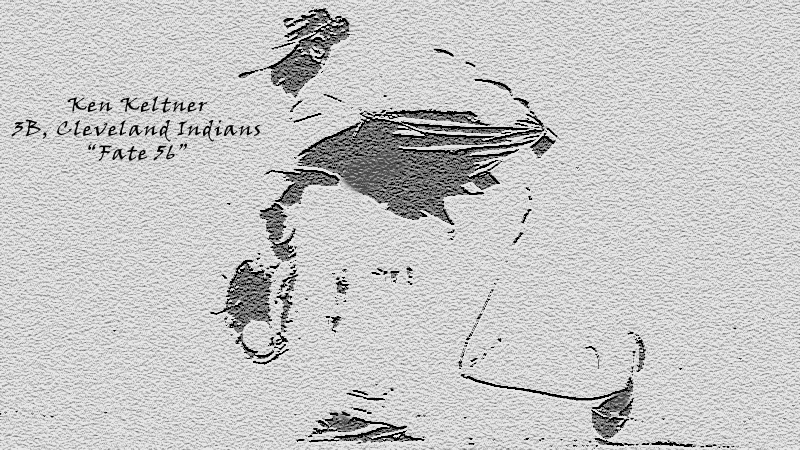 White thought that he could track down every ball in the outfield, although his bat wasn’t like Dimaggio, his feeling was legendary and it is a well deserved comparison. So, below you will see the catch (2nd most famous play in Blue Jay history) immortalized in this design of Devo with a gold glove. Getting to a ball that he had no business even getting to, starting a double play that should have been a triple play, in Game 3 of the 1992 World Series against Atlanta. Something ‘we Blue Jay fans’ can be very proud of. In a time where our pride is taking a hit.